Our Design Classic Drum Tables designed by Milo Baughmen are timeless modern classics. 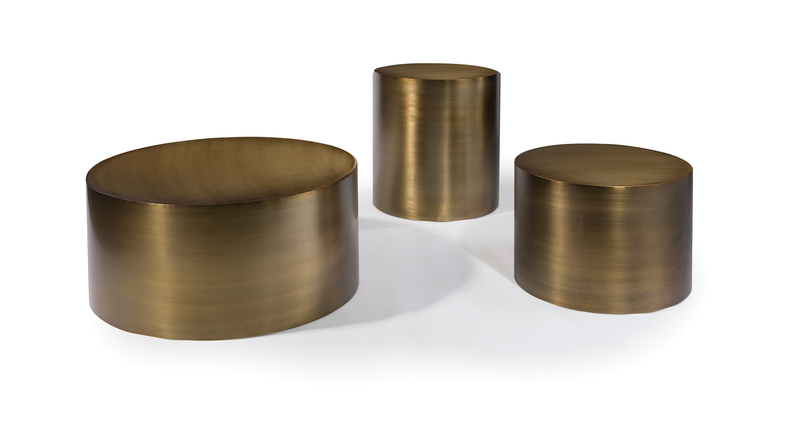 Available in three popular sizes, our versatile Drum Tables feature a brushed bronze finish over steel. Our Drum Tables are also available in polished stainless steel (No. 2000 series) and slip matched maple wood veneer (No. 1423 series). Brushed bronze finish over steel.